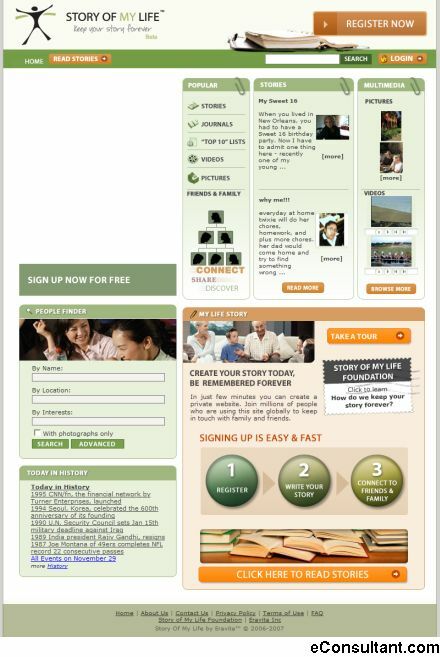 Description : Story of My Life is the world’s largest collection of online Stories of people’s lives. With easy to use tools, privacy and access settings, you create social circles and bonds with all of the people important to your life. The Story of My Life site helps you build an interactive and rich, 360-degree view of who you are: your accomplishments, your feelings and thoughts, your narrative – the essence of who you are and what you will leave behind.